DCTF's TXHSFB Insider looks at 10 head coaches who are quickly rising up the ranks! In our latest off-season look at the landscape in Texas High School Football, Dave Campbell’s Texas Football takes a look at ten head coaches across the state of Texas who we feel are fast risers. We limited this list to current head coaches who have five or fewer seasons of experience at the varsity level as a head coach. In just three short seasons, Mark Torres has built El Paso’s newest program into a contender in the Sun City. In their first varsity season in 2016, the Spartans had the expected struggles of a new school, posting a 2-8 record, but near the end of the year you could see Torres’ squad showing major improvement. PHHS used that momentum to carry themselves to an 8-3 mark and a share of the 1-6A title in just their second varsity season. After losing a large group of seniors, many pegged the Spartans to miss out on the playoffs in 2018, but Torres’ team proved they’ve got staying power by advancing back to the playoffs with a young team. Expect Pebble Hills, with Torres’ disciplined and meticulous coaching style and a good pool of talent, to remain among the top teams in El Paso going forward. When the 29-year old Riley Dodge was hired to lead his alma mater, most of the uninitiated felt Dodge got the job only because of his last name and would quickly be exposed as a young coach who was in over his head at an elite program. Dodge’s Dragons were anything but that in 2018 as Dodge’s squad posted an impressive 13-1 record before falling to powerful Duncanville in the regional finals. Dodge showed he’s not just a coach who likes to spread the ball and throw it all over the field. Instead, his offense relied on a powerful running game and elite offensive line play to get that 13-win plateau. In just his second year at the helm at West Brook, Peevey led his Bruins squad to the brink of a state championship before falling to Longview by a single point. Peevey’s squad wasn’t considered by most to be a title team, but after an impressive playoff run and tremendous game plan West Brook nearly upset the favored Lobos in the state title game. In the post-game aftermath Peevey may have had his most impressive moment with the television cameras capturing his impassioned speech to his distraught team after the loss. Peevey’s squad had their eyes locked on their young coach and he earned statewide respect from veteran coaches and fans alike. In one of the most incredible seasons in recent memory, Butler’s Shadow Creek Sharks posted a 15-1 record before falling to Highland Park in a hard fought 27-17 loss in the 5A Division I state title game. Why was it incredible? It was their first varsity season playing in a UIL district. Butler, who has over 20 years of experience as an assistant coach, showed he’s more than cut out to lead one of the state’s elite programs. Considering his pedigree as an all-state QB at Brownwood and being around some of the real legends in Texas high school football, expect Butler to be one of the real stars in the coaching ranks going forward. Mendoza knows a thing or two about winning. The former player at Converse Judson has spent most of coaching career in Judson ISD learning the in’s and out’s of how to run a program. He was tabbed as the head coach at Veterans Memorial High School, the district’s third high school in early 2016 and he’s built the Patriots into a winner right out of the gate. In 2018, Veterans Memorial — after playing an outlaw schedule in 2017 — showed they can compete, posting an impressive 8-4 mark and earning a playoff win. The arrow is pointed up for the Patriots and with most of the team returning, expect another big season in 2019 and for Mendoza’s stock as one of the top young coaches in the Alamo City to continue to rise. Former Corpus Christi police officer Justen Evans has carved out a nice niche as an educator in his hometown and the job he’s done as a head coach in the area has been impressive. After serving as an assistant at Corpus Christi King, Evans got his first shot as a head coach at nearby Alice in 2016. Evans led the Coyotes to a 7-3 mark in his only year at Alice, before getting the call to return to his roots and lead a struggling Corpus Christi Miller squad. The previous three seasons, Miller had won a total of three games. In his first year at Miller in 2017, Miller’s Bucs posted a 4-6 mark. Then in 2018 Miller spent much of the year near the top of the 15-5A Division I standings finishing at 7-3 and missing out on the playoffs in a tiebreaker. 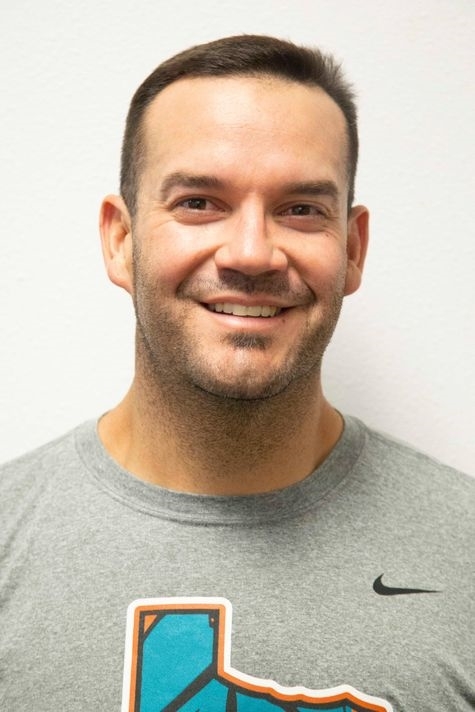 Dunnam, who has spent the past several years as defensive coordinator under his brother Chad Dunnamn at Dumas, got the reins to run the Demons program last spring when Chad departed for Amarillo High. The Demons didn’t miss a beat under the always fired up Dunnam, whose passionate coaching style resonates in this Panhandle community. Dumas won their second straight district title and despite the first round playoff loss to eventual semifinalist Decatur, they look poised to be a contender in 4A Division I.
Shavers — an Allen alum — spent his first two years as a head coach out in West Texas leading Lubbock Estacado to an 18-6 mark in 2016 and 2017. 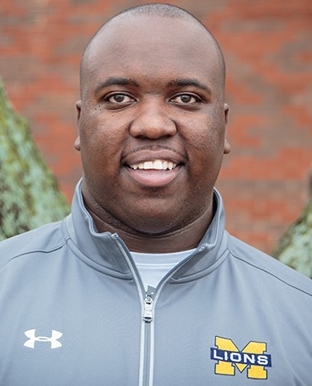 However, last February he jumped at the chance to return to the DFW area when he took over at Class 6A McKinney High. Shavers’ squad returned just three starters from a playoff team in 2017 and was picked at the bottom of the district standings. The Lions started out slow going 0-5, but McKinney picked it up down the stretch winning four out of their last five games to clinch a second straight playoff appearance with one of the area’s youngest teams. The late season surge and tremendous performance all but solidifies Coach Shavers as one of the real young talents on the sidelines in the state. In five years at Pleasant Grove, Josh Gibson has turned the Hawks into a perennial powerhouse in East Texas. Using a dynamic Wing-T offense that’s not afraid to take to the air, Gibson’s squad advanced to the regional semifinals in 2016 and the last two years has posted an impressive 30-2 record winning the state title in 2017 and advancing to the 4A Division II title game in 2018 with a relatively young team. The Hawks will be one of the favorites to win the state title in 2019 and Gibson’s already soaring stock (along with his brother, OC Justin Gibson) should rise even more. Coach Houston has made the rounds as an assistant in locations like Grapevine, Belton, Lorena and Rockdale and he got his first shot to be a head coach last spring taking over at 3A Division II Buffalo. Houston was the offensive coordinator at Rockdale when they won the 3A Division I state title in 2017, and he showed he can get it done as a head coach as well as the Bison posted a school record 12-1 season in 2018. He is heavily involved in the clinic circuit and is a well respected offensive mind and now he can add successful head coach to his resumé, as well.